Diabetes is not the hopeless disease that most doctors would have us believe it is though it is a long losing battle if you walk the trail western medicine wants you to walk. 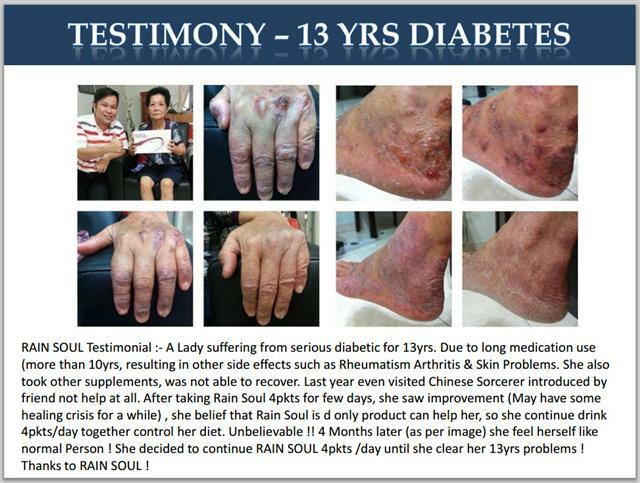 Like all the chronic diseases facing humanity today the allopathic medical establishment does not want you or your doctor to become conscious of the real causes of diabetes and it certainly does not want you to receive treatments that will reverse or prevent diabetes from destroying your life. This is easily seen in the conditioned resistance to understanding and appreciating magnesium as the necessary medicine—in fact the perfect medicine—for diabetics. My Natural Allopathic Medicine protocol treats diabetes pretty much the same as it does cancer. The fundamentals of both diseases are the same and this why one increases the incidence of the other. There are doctors who do cure diabetes and how do they do it? The first thing such doctors understand is that diabetes is inflammatory disease caused by a combination of factors including chemical poisoning, radiation exposure, magnesium, iodine and bicarbonate deficiencies that come together to burn down the cellular house in slow motion. Add some infectious process and the pancreas becomes exhausted and insulin is then required. Each year, approximately 80,000-84,000 lower-limb amputations are performed due to complications from diabetes in the United States alone. Sugar excess and dehydration work powerfully to create inflammation in the body and this starts a long process that ends up with people facing major diseases. Today men, woman and children are consuming more sugar in a more corrupted form than ever before. They are poisoning themselves with the blessings of the government and many nutritionists who have no problem with a diet loaded with carbohydrates. Diabetes is one of the most complex diseases affecting the physiology of all tissues and systems simultaneously. If not controlled, diabetes can be life threatening. It is often associated with long-term complications that can affect every system and part of the body. Diabetes can, among other things, contribute to eye disorders and blindness, heart disease, stroke, kidney failure, amputation, and nerve damage. It can affect pregnancy and has been linked to birth defects and miscarriages. In the studies carried out in China and Japan, those who ate the most white rice were 55% more likely to develop the disease than those who ate the least. Yet the medical industrial complex does not want the public to understand why white rice would so strongly provoke the onset of diabetes. White rice is low in magnesium and high in quickly digestible sugars that spike blood sugar levels. Consumption of too many simple carbohydrates leads to overall acid buildup (decreased pH of the blood and tissues) and inflammation. A new study published in the journal Clinical Nutrition from a team of Brazilian researchers has found that low levels of magnesium worsen the symptoms of type 2 diabetes, as this often results in low levels of insulin and elevated blood sugar. Brown rice is also a simple carb but at least the magnesium has not been stripped out of it! So if you must have rice, choose brown rice and at least get some magnesium. The research from Brazil indicates that a diabetic’s ability to control blood sugar levels is closely tied to their magnesium levels, as the mineral plays an important role in insulin receptor cells. Another study published in the journal Diabetes, Obesity and Metabolism found that taking oral magnesium supplements helps individuals who have become insulin resistant avoid developing type 2 diabetes. These are just the latest in a long string of studies that the medical establishment and mainstream diabetes organizations continue to ignore. We know this because they continue to refuse to prescribe magnesium supplementation or treatments that can make a huge difference in a diabetic’s life. Low serum and intracellular magnesium concentrations are associated with insulin resistance, impaired glucose tolerance and decreased insulin secretion. , , Magnesium improves insulin sensitivity thus lowering insulin resistance. Magnesium and insulin need each other. Without magnesium, our pancreas won’t secrete enough insulin—or the insulin it secretes won’t be efficient enough—to control our blood sugar. Over 68% of the U.S. population is magnesium deficient, and up to 80% of type 2 diabetics are magneisum deficient since they waste more magnesium than others due to out-of-control blood sugar levels. Immediately increase your magnesium intake, preferably by using transdermal magnesium therapy with Ancient Minerals Magnesium Oil. 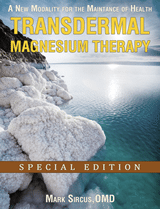 Use transdermal magnesium heavily (1-2 oz on the skin or magnesium flakes in a bath or foot bath) and daily for at least 2-3 months unless you have reduced kidney function, then precautions must be taken to prevent too much accumulation in your system. Start using iodine orally to ensure your levels are up to normal, and consider using a high dose of iodine, which has been shown to reduce insulin resistance. Iodine will combat infections such as those caused by fungi, bacteria and viruses, which have been shown to provoke diabetes and cause insulin resistance or damage to the pancreas’ beta cells. Avoid use of pharmaceutical antibiotics many of which have been shown to cause diabetes. Use bicarbonate of soda to make your body more alkaline. Check pH daily and raise or lower the amount you use according to the previous day’s levels. Aim to keep salivary pH at 7.3-7.4. Do not take more than 7 half-teaspoons per day if you are under age 60 and do not take more than 3 half-teaspoons if you are over age 60. Use 1 lb of bicarbonate in your bath at least once a week to help detoxify environmental toxins. 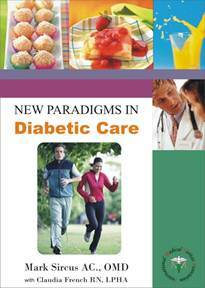 Dietary changes are crucial for weight loss and control of the diabetic condition. You must follow a low or very low carbohydrate diet as recommended by Dr. Gabriel Cousens, or Dr. Richard Bernsteinor Walter Last, all who recommend carbohydrate intake of under 30 g/ day. Dr. Robert Young also has mastered this process and it is very well laid out for diabetics in his book The pH Miracle for Diabetes: The Revolutionary Diet Plan for Type 1 and Type 2 Diabetics. Seeds are rich in fiber, vitamins, minerals and phytochemicals antioxidant action. Seeds from a nutritional point of view are real giants and help to prevent, treat and reverse diabetes. Soul Rain contains antioxidant equivalent of 8-10 servings of fruit and 8-10 servings of vegetables. You must add a good quality spirulina to your diet. The many benefits of spirulina to diabetes have been shown in research studies and the list is growing. Spirulina is a superfood and is one that has the highest amount of protein. Three grams of a good quality spirulina has the same amount of phytonutrients as 5 servings of fruits and vegetables. Diabetics must take spirulina in the amount of at least 2 g/ day and it is preferred diabetics take a medical dose of 10 g/ day, which will help to maintain blood sugar levels, will provide adequate nutrition and amino acids, will assist in weight loss, will lower cholesterol, and will actively prevent complications of diabetes. I recommend using Rejuvenate Plus, which has spirulina and other nutrients. Inflammation plays a key role in a set of disorders that include type II diabetes, obesity, and heart disease—collectively called the metabolic syndrome. Cannabinoids have been shown to effectively reduce inflammation and may be used where it can be legally obtained. One source of CBD that is legal throughout the USA and Internationally in 2012 can be obtained from Green Garden Gold. Green Garden Golden are appropriate for diabetics; the capsules can be used for pain and inflammation and the creams for any skin condition. Other supplements recommended for diabetics include alpha-lipoic acid for treatment of peripheral neuropathy, vitamin C, adequate vitamin D3 from the sun or from a supplement, benfotiamine, chromium, Gymnema sylvestre, bitter melon, fenugreek, ginseng and gamma-linoleic acid, which is also available in adequate amounts in spirulina. Vitamin D3 and sunlight are also important for all diabetics. The number of new cases of diabetes, particularly type 2 diabetes, has risen dramatically in the last 15 years across the country, especially in some of the southern states. The nation’s diabetes problem is getting worse, and the biggest jump over 15 years was in Oklahoma, according to a new federal report. The diabetes rate in Oklahoma more than tripled, and Kentucky, Georgia and Alabama also saw dramatic increases since 1995, the study showed. The disease exploded in the United States in the last 50 years, with the vast majority from obesity-related type 2 diabetes. In 1958, fewer than 1 in 100 Americans had been diagnosed with diabetes. In 2010, it was about 1 in 14. In the United States, nearly 13% of adults age 20 and older have diabetes, but 40% of them have not been diagnosed, as per epidemiologists from the National Institutes of Health (NIH) and the Centers for Disease Control and Prevention (CDC), whose study includes newly available data from an oral glucose tolerance test (OGTT). Diabetes is particularly common in the elderly: nearly one-third of those age 65 and older have the disease. An additional 30% of adults have pre-diabetes, a condition marked by elevated blood sugar that is still not in the diabetic range. The story that doctors, medical officials and mainstream medical associations put out is that diabetes is a disease in which the body has trouble processing sugar. This does not quite cover the fact that the most common forms of sugar are poisonous and become more so the more sugar one consumes. Diabetes is a precursor to heart disease and cancer, it’s a harbinger of death without equal. Ma J, Folsom AR, Melnick SL, Eckfeldt JH, Sharrett AR, Nabulsi AA, Hutchinson RG, Metcalf PA: Associations of serum and dietary magnesium with cardiovascular disease, hypertension, diabetes, insulin, and carotid wall thickness: the ARIC study. J Clin Epidemiol 48:927–940, 1985. Rosolova H, Mayer O Jr, Reaven GM: Insulin-mediated glucose disposal is decreased in normal subjects with relatively low plasma magnesium concentrations. Metabolism 49:418–420, 2000 [Medline]. Resnick LM, Gupta RK, Gruenspan H, Alderman MH, Laragh JH: Hypertension and peripheral insulin resistance: possible mediating role of intracellular free magnesium. Am J Hypertens 3:373–379, 1990 [Medline]. Dosage recommended is 600mg. Once a day.